On Friday David and I are delivering an new session as part of a great agenda for the BizSpark Azure Camp (places still available – details and how to register). Our session is on “10 Great Questions to ask about the Windows Azure Platform”. I will share the questions and answers in glorious techno-colour post the event – but for now, how do these look? Will my code just work? How big/small a solution can it handle? Can you deploy on-premise OR cloud? What are the differences between SQL Azure and SQL Server? If you are just getting started with cloud computing with Windows Azure, this is the perfect starting point for you This online conference will help you get over any initial stumbling blocks, so you can quickly be productive in this new environment. We’ll help you familiarise yourself with different aspects of designing for Windows Phone, including the philosophy behind Metro and Application design. You don’t need any experience of Windows Phone development, you just need an interest in developing phone apps. In this conference we’ll discuss the difference between a website and a web application. You’ll also learn about HTML5 features that allow applications to do more than is currently possible with just AJAX and HTML 4. In-depth web development experience isn’t necessary you just need to be keen to build your knowledge of the different aspects of IE9. 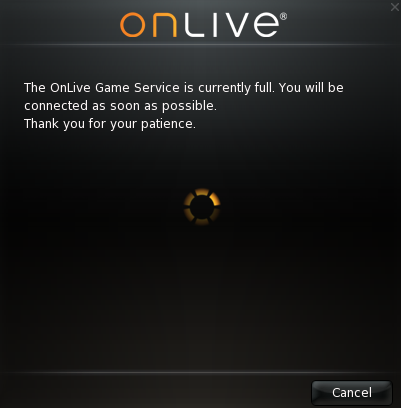 One interesting example of cloud computing is the OnLive (http://onlive.co.uk) gaming service which went live in the UK today. There are a few quirks getting dependencies for IIS installed on Windows 8 using the Web Platform Installer.